Home Page > Accuquilt GO! > Dies > Go! Dies > GO! Half Square Triangle 1 1/2"
GO! 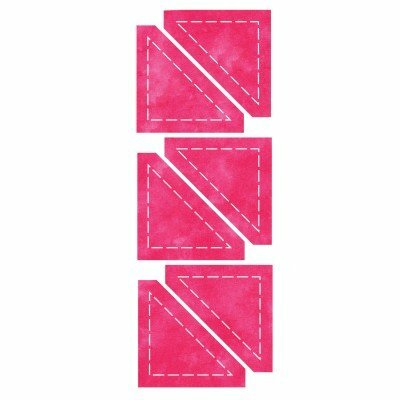 Half Square Triangle 1 1/2"
Triangles are a basic building block in quilting. Arrange triangles in colorful combinations for great quilt designs. Two half square triangles sewn together form a 1 1/2" finished square.